The IAAF Diamond League meeting in Monaco has a reputation for high-class performances. With the Rio Olympics just a month away, the clashes in store at Herculis on Friday (15) will have added spice. For quality, the men’s 1500m takes the biscuit. World champion Asbel Kiprop, who ran his personal best of 3:26.69 at this meeting last year, has been itching for a pacemaker to set him on a world record tilt all season. When the Kenyan ran the world lead (3:29.33) in Birmingham, he did it by overtaking the pacers and romping to a near four-second win. 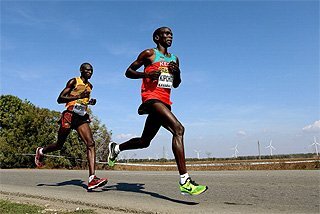 Should they get it right this time, Diamond Race leader Kiprop may not be running on his own. Olympic champion Taoufik Makhloufi has showed good pace over 800m this season and will hope it pays off in a fast race in Monaco. 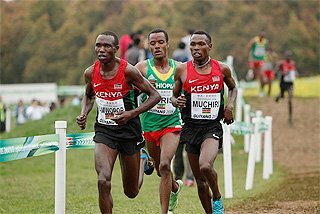 Other in-form athletes hoping to go fast include Kenya’s world silver medallist Elijah Manangoi, who is currently second in the Diamond Race, and Morocco’s Abdalaati Iguider, who won over 3000m at the IAAF Diamond League meeting in Rabat and is third on this year’s 1500m world list with 3:33.10. Distance king Mo Farah adds further depth. The Briton will surely follow the pace as he tunes up to defend his 5000m and 10,000m titles in Brazil. 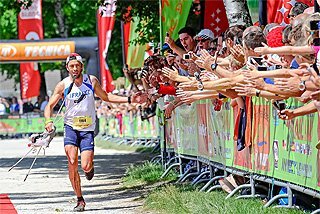 Ingebrigtsen brothers Filip and Henrik, first and third respectively at the European Championships, also run. Caster Semenya has been unbeatable in the women’s 800m this season – literally – with three straight IAAF Diamond League wins and a world-leading 1:56.64 in Rome. Francine Niyonsaba, the world indoor champion who won in Birmingham (with Semenya absent) in 1:56.92, and world junior champion Margaret Wambui, who is ranked third this year with 1:57.52, are the most likely to push the South African in Monaco. Any of the three could challenge the 1:56.04 meeting record. The men’s steeplechase features Conseslus Kipruto, who is fastest this year with 8:00.12. He goes after his fifth straight IAAF Diamond League win in 2016, though the meeting record of 7:53.64 might be just out of his grasp. The women’s 100m will see athletes from both sides of the Atlantic face off for the first time in a month following a break for national and continental championships. When Dafne Schippers won 100m gold at the European Championships last weekend, her 10.90 was nearly a third of a second faster than second place. How the 200m world champion fares against stiffer opposition should provide a clue as to whether she can improve on the World Championships silver she won in the shorter event last year. Tianna Bartoletta set a personal best of 10.78 to finish second in the 100m at the US Olympic Trials 10 days ago and runs again in Monaco. Few expected to see Veronica Cambell-Brown finish fourth at the Jamaican Trials. 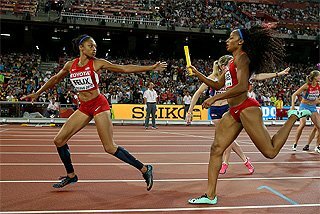 The 2007 world champion was way back in 11.10, though a 10.83 season’s best (equal to Schippers’) suggests she will add even more bite to the contest. 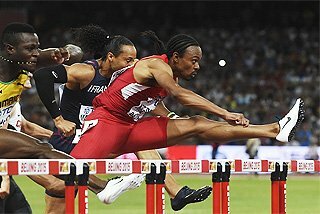 Similarly, the men’s 110m hurdles will pit Europe’s finest against the best in the world. This year, that title belongs to Jamaica’s Omar McLeod. 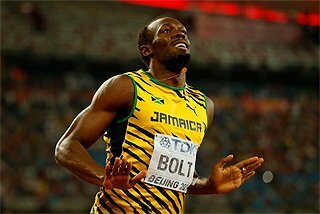 The world indoor champion’s 12.98 in Shanghai ranks him number one in 2016. Frenchman Pascal Martinot-Lagarde and Spain’s Orlando Ortega are the only other two men in the field to have run faster than 13 seconds. Joining them is newly crowned European champion Dimitri Bascou. World 400m champion Wayde van Niekerk hasn’t lost a race all season. He will have to contend with 2013 world silver medallist Tony McQuay, who recently clocked a lifetime best of 44.24, world junior champion Machel Cedenio, Grenada’s Bralon Taplin and Botswana’s sub-44-second man Isaac Makwala. With two-time world indoor champion Pawel Maslak also in the mix, the one-lap event could produce one of the races of the night. The quality continues in the field events. German shot putter Christina Schwanitz added European gold to the world title she scooped in Beijing last year. 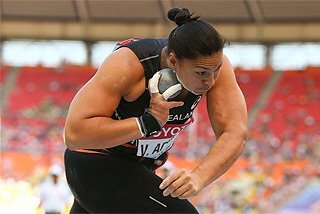 She’ll have to contend with Valerie Adams, the two-time Olympic champion who could not defend her world crown last year due to injury. World indoor champion Michelle Carter is also in the field. She showed the best form of her outdoor season to take the US title last week with 19.59m. Ekaterini Stefanidi set a championship record of 4.81m to win the European pole vault title. She’ll be joined in Monaco by world champion Yarisley Silva, who won last time out in Birmingham with 4.84m. Fabiana Murer competes for the first time since she set a South American record of 4.87m to win the Brazilian national title earlier in the month. Elsewhere, Canada’s world high jump champion Derek Drouin makes his second IAAF Diamond League appearance of the season. World indoor champion Gianmarco Tamberi is full of confidence after winning European gold in Amsterdam. 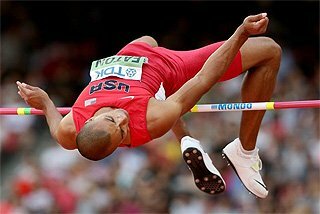 Mutaz Essa Barshim, the second-best jumper of all time, returned to winning ways in Birmingham. After back troubles for the past 18 months, his performance in Monaco will be of particular intrigue. The women’s javelin will see world record-holder and Olympic champion Barbora Spotakova against world champion Katharina Molitor. 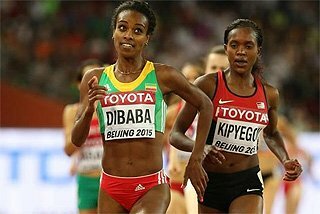 Both come to Monaco on the back of a defeat to Tatsiana Khaladovich, who will seek a maiden IAAF Diamond League win following her European gold medal in Amsterdam. 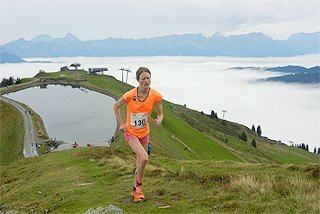 South Africa’s Sunette Viljoen, bronze medallist at last year’s World Championships, is also in hot form after taking the African title a fortnight ago. The women’s triple jump brings together world champion Caterine Ibarguen, Olympic champion Olga Rypakova, world indoor champion Yulimar Rojas and European champion Patricia Mamona. 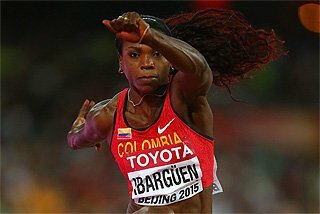 Rojas is fresh from becoming the youngest 15-metre jumper in history, but Ibarguen will enjoy jumping into the same pit where she produced her lifetime best of 15.31m two years ago. European 100m champion Churandy Martina was denied a possible sprint double in Amsterdam after being disqualified for a lane violation. The Dutch sprinter will have a chance of redemption in Monaco as he contests the longer event, where he’ll face the likes of two-time Diamond Race winner Alonso Edward and 2011 world bronze medallist Christophe Lemaitre. Shamier Little will also have something of a point to prove. 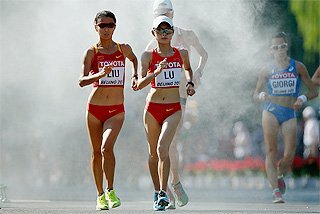 The world leader made a shock exit in the 400m hurdles at the US Olympic Trials after failing to reach the final. In Monaco she’ll line up alongside US silver medallist Ashley Spencer and European champion Sara Slott Petersen. Elsewhere, Kenyan duo Mercy Cherono and Hellen Obiri lead the women’s 3000m field, world discus champion Piotr Malachowski will look to maintain his lead in the Diamond Race standings, and world silver medallist Fabrice Lapierre takes on African champion Ruswahl Samaai in the long jump.